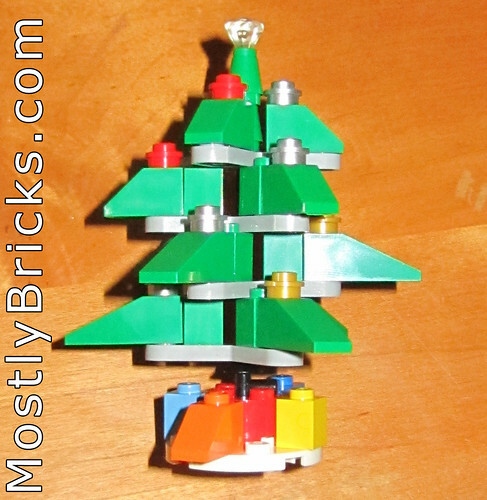 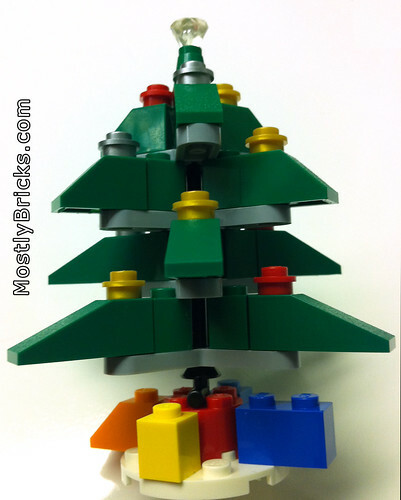 Happy Holidays to everybody reading MostlyBricks.com! 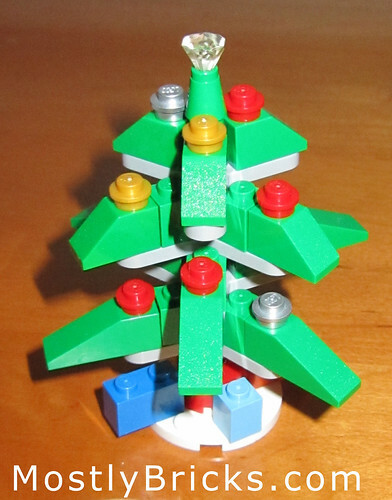 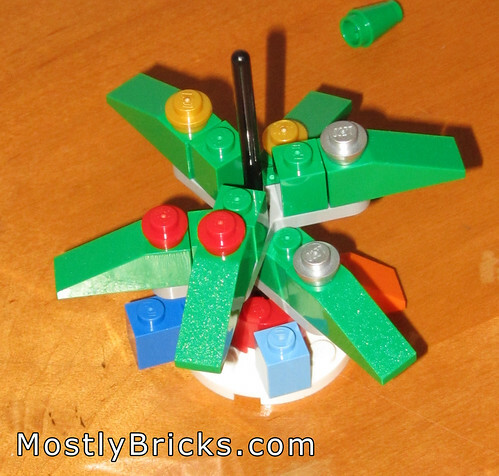 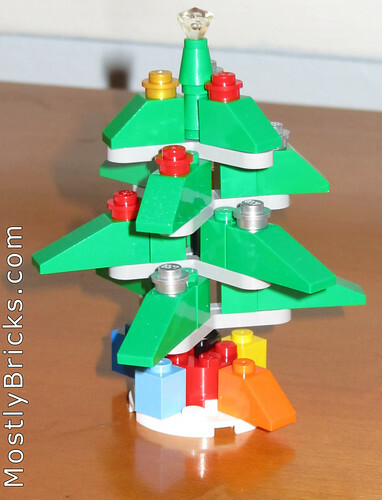 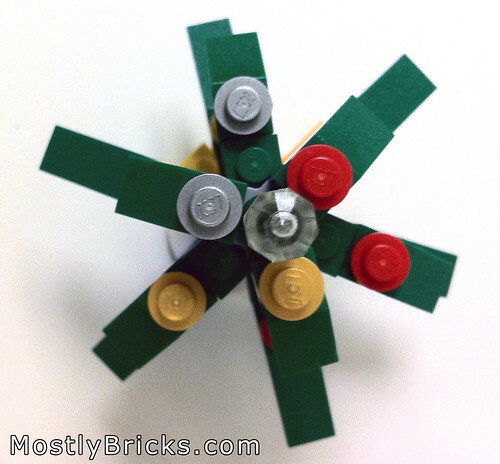 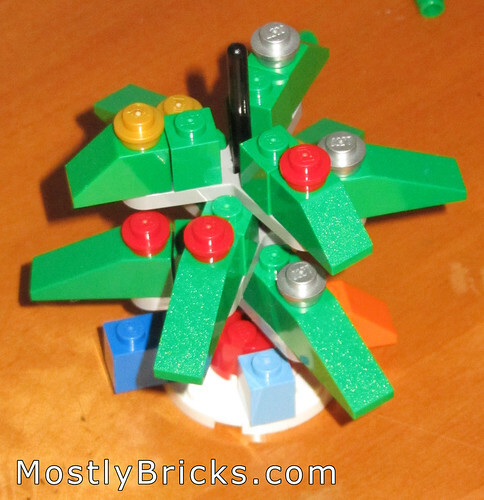 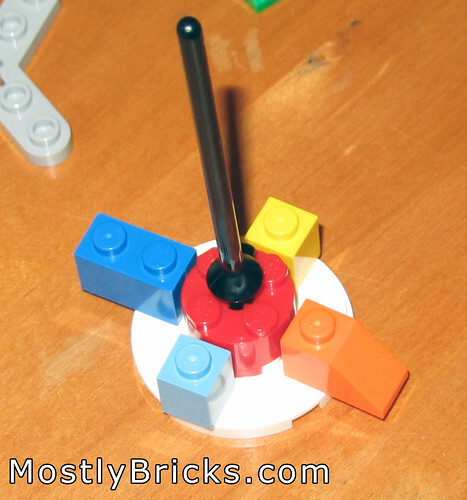 In the spirit of the holidays, here’s a quick review of LEGO Creator 30009, which is a Christmas Tree, and only a Christmas Tree. 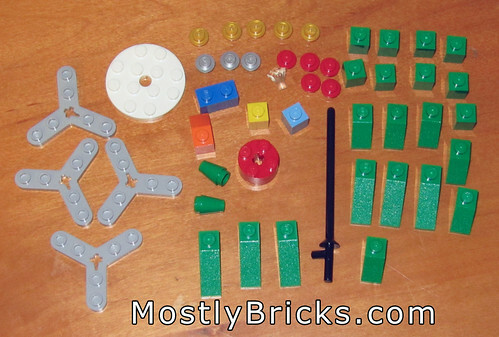 Although all of the pieces would be useful in other sets, this really does make for a great little set you probably won’t want to take apart. 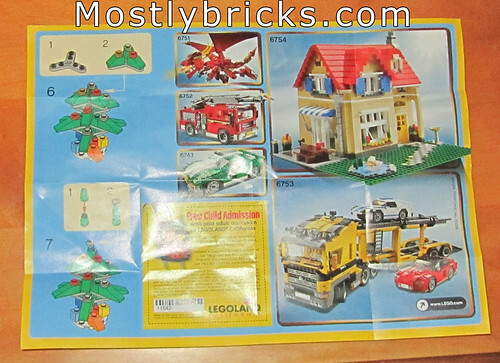 While I bought this set at Toys R Us, I’m not sure of the availability elsewhere. 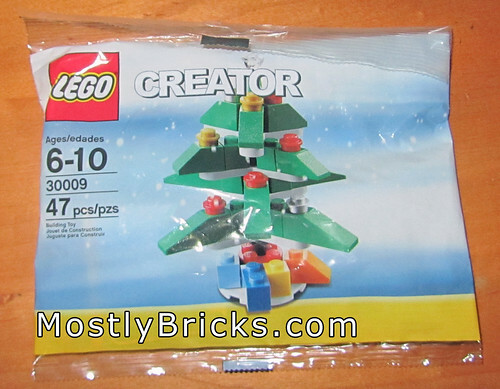 $3.50 – $3.99 at Toys R Us, possibly other stores. 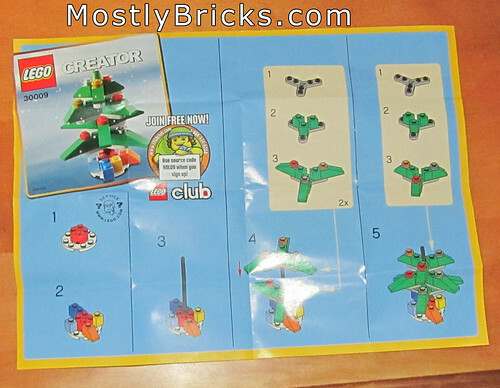 I’m going to go light on the description/review as I believe that with this set, the pictures tell the story. 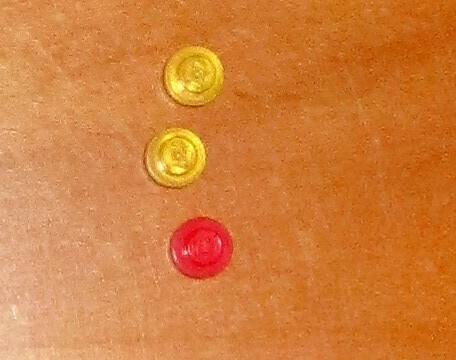 (note: there are two 1×1 round plates that were hiding in the bag when this picture was taken). 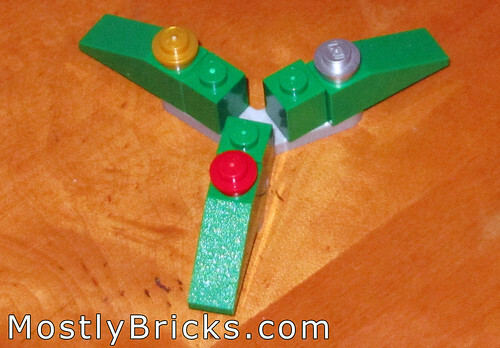 Yes, this would be fairly easy to turn into an ornament to hang on a full-sized Christmas tree!